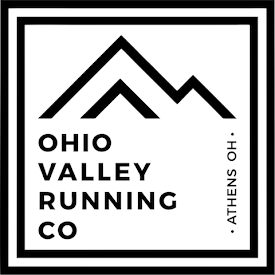 From the time I started developing a passion for trail running and ultra running in 2008 until now I have had this desire to create and direct trail races in the place I know best - Southeastern Ohio. Once I found myself living permanently in my hometown I started seeking ways to share my passion with the community in hopes of growing the trail running culture in SE Ohio. What I found is that I am not the only crazy trail loving runner in the area; however, there wasn't a central hub or common identity among all the trail runners in SE Ohio. That is why I began to develop the idea of a Trail Running Club, in the form of a non-profit organization, who's aim is to promote trail running and to continue fostering this idea of a trail culture that I believe can thrive in SE Ohio. In January of this year, after finalizing the paperwork and duties required to start a non-profit organization, and with help from some other dedicated trail runners Southeastern Ohio Trail Runners (#SEOTR) was officially established. Good things are beginning to happen and hopefully this organization will spur some more interest in trail running among community members! With that said, I was presented with an opportunity to partner with a group of graduate students in the Recreation Studies program at Ohio University to create, plan, and implement a trail race. With the newly formed SEOTR and some sort of central identity of a trail running group, I felt like this was a perfect time to host our first trail race! So on April 26th, SEOTR will host the 1st Annual Iron Furnace Trail Run (#IFTR) with a 20k and 5 mile race option at beautiful Lake Hope State Park! So a dream I've had for years is coming true as I get a chance to direct my first trail race. The process began in early January and things have had to move pretty quickly. Luckily I have a solid group working with me to help the process move along faster. From getting a couple special use permits approved, to figuring out logistics and details, to developing and designing a quality course, it's been a lot tiring but rewarding work. When I posted the website and made registration live yesterday, I was really pumped that my dream of becoming a race director has come to fruition. I'm a nut for course layout, design, distances, numbers, elevation profiles, etc. etc. The logistics to design an event and plan a course is right up my alley. I'm also naturally organized, to a fault according to my wife, so directing a race was going to be an enjoyable challenge for me. I do have the support of my trusty team of graduate students to help in areas such as marketing, sponsorship, advertising, etc. I have the tendency to have the philosophy of "If you build it, they will come." Although the course is 100 percent built for an amazing experience, I probably would only get a handful of participants if I was left to marketing for the race myself! So this is a shameless plug for SEOTR and the Iron Furnace Trail Run! Check out the IFTR Event Page and find other information about SEOTR. Become a member, support trail running, help give back and maintain trails, join our cause and promote the trail running culture in SE Ohio! Also, follow SEOTR on Twitter @SEOTrailRunners, Like SEOTR on Facebook! I just paid my dues to join SEOTR. When I figure out how to get the club discount code, I'll register for the race. I'm looking forward to it! If still healthy after trail marathon April 12th, this will be my next race. Pumped to explore a new park! Dayton, I hope you join us! So good to see that you are following your passion and that now you are spreading it around as well. Good on you. Keep living the dream.